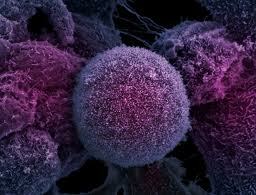 Why is Spotting Cancer Early Important? When we talk about ‘spotting cancer early’ we mean diagnosing cancer at an early stage, before it’s had the chance to get too big or spread to other parts of the body. Diagnosing cancer at an early stage means it can often be easily removed or treated. If the cancer has spread, treatment becomes more difficult, and in almost all cases a person’s chances of surviving that cancer are much lower. So finding and treating cancer at an early stage can make a real difference. What’s the impact of early diagnosis? The most serious type of skin cancer is malignant melanoma, and the most important factor affecting a person's chances of surviving is how thick the cancer is at the time it is diagnosed1. If the melanoma is less than 1mm thick, 92 out of 100 people survive at least ten years after diagnosis. But if the melanoma is more than 4mm thick at the time it’s diagnosed, far fewer people survive for ten years - just 50 out of 100 people. Lung cancer is the second most common cancer in the UK, with more than 40,000 people diagnosed each year. For some types of lung cancer if it is caught at the earliest stage, more than 70% of people survive their disease for at least 5 years. But lung cancer currently has one of the lowest survival outcomes of any cancer because over two-thirds of patients are diagnosed at a late stage when successful treatment is not possible. Delay in the diagnosis and treatment of breast cancer seems to be linked to lower survival. This is likely to be because delay is linked to later stage disease, reducing the chances of successful treatment2. Which symptoms are more likely to be cancer? There are more than 200 different types of cancer, each with different symptoms. Many of the possible symptoms of cancer can also be caused by other, much less serious, things. Research has helped us understand the chance that particular symptoms will turn out to be caused by cancer6,7. This is called the ‘predictive value’ of a symptom. Jaundice (yellowing of the skin) in older people is a sign of pancreatic cancer with quite a high ‘predictive value’. And blood in urine in older people is another example of a symptom which has quite a high chance of being caused by cancer. In both cases there are other possible causes of these symptoms. Doctors use information about the ‘predictiveness’ of symptoms, along with other information about an individual (such as age, family history, how long a symptom has lasted) to help decide if a patient needs further tests. It is also important that the public are aware of the key signs and symptoms of cancer so that they have the best chance of spotting the disease early. Some of these key symptoms of cancer can be found on the key signs and symptoms page, which is based in part on the European Code Against Cancer8. All of these signs and symptoms could be down to things other than cancer. But it’s important to see your doctor if you spot any of these changes. But this list doesn’t cover everything. Rather than remembering lists of symptoms, it’s best to get to know your own body and see your GP about any unusual or persistent changes. There is a growing body of scientific research looking into the many possible causes of late diagnosis, and it’s an important part of Cancer Research UK’s work. We now know that around a quarter of cancer cases in the UK are diagnosed through emergency admission to hospital (mainly people turning up to accident and emergency departments)9. Most patients diagnosed in this way have lower chances of survival compared to other patients. Low awareness of cancer signs and symptoms among the general population10 can mean that people don’t see the GP as soon as they might which could delay a diagnosis. Some people might delay because they’re worried about what the doctor might find or they don’t want to waste the doctor’s time.